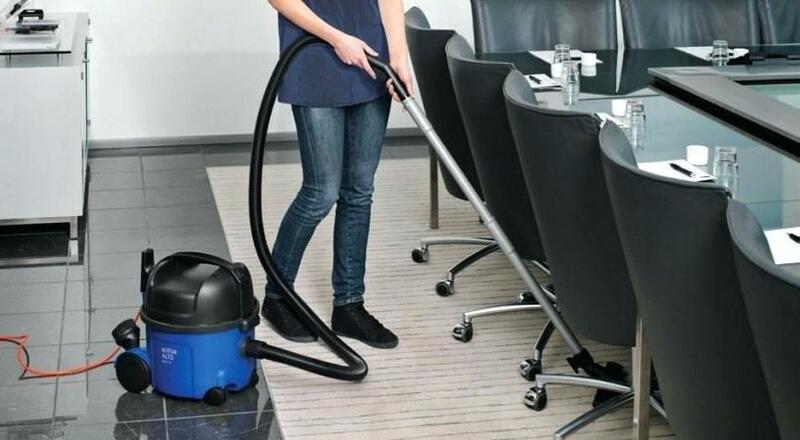 Vacuuming maintenance is essential for limiting dirt accumulation in your office. Professional carpet cleaners can treat the toughest stains while protecting your floor underneath. Vacuuming office carpets is an excellent way to limit the daily accumulation of dirt. However, a great deal of debris can escape the reach of ordinary vacuums. Dirt particles tear apart the fibers of carpets, limiting their lifespan and reducing the value of your investment in office infrastructure. Bacteria and germs also sink deep down into carpets. These contaminants can create odors and make office air more difficult to breathe, which creates a harsh work environment for employees. Well-traveled patches of office carpet are known as traffic lanes. These lanes form when large amounts of dirt sit in carpets. The abrasive contents of dirt end up tearing carpet fibers when people walk over them. Dirt doesn’t merely appear to make the carpet darker; it also rips the materials apart for a dulling effect on carpet fibers. Commercial Carpet Maintenance help to remove those damaging materials.